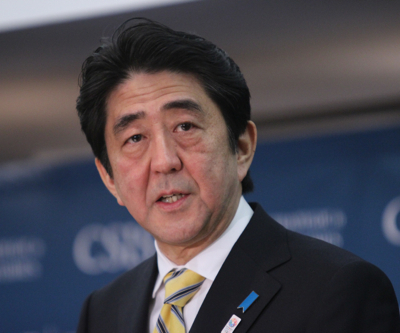 Japan's prime minister, Shinzo Abe. Japan’s top nuclear regulator raised concerns Monday about the overall safety of Fukushima’s nuclear power plant after operator Tokyo Electric Power Co (TEPCO) reported new radiation hotspots at four locations near tanks holding contaminated water. The announcement is likely to deepen fears that TEPCO is not up to the task of safely decommissioning the 2011 tsunami-hit site, where last month a tank was reported to have leaked about 300 tonnes of contaminated water. Japan's prime minister, Shinzo Abe, who recently suggested TEPCO was incapable of overseeing the operation on its own, promised prompt, comprehensive steps to clean up the wrecked nuclear plant. The investigation into the tanks has revealed TEPCO’s sloppy record keeping and tank management. The firm admitted that this was because the equipment used could only read measurements up to 100 millisieverts an hour. The readings taken near the leaking tank on Saturday, made with a more sensitive device, showed a level of 1,800 millisieverts an hour. TEPCO also acknowledged it used to assign only two workers to visually inspect all 1,000 tanks in two hours until the leak, and none of the tanks had water gauges. The firm has increased the patrol staff to nearly 60 and is adding other early detection measures, after it admittedly overlooked signs of leaks — radioactivity increase and workers’ exposure levels for over a month. Japan's foreign ministry has started posting English-language information online showing that atmospheric radiation levels in Tokyo, about 225 km south of Fukushima Daiichi, are comparable with those in London and New York. Authorities are expected to unveil emergency measures on Tuesday to deal with the crisis.